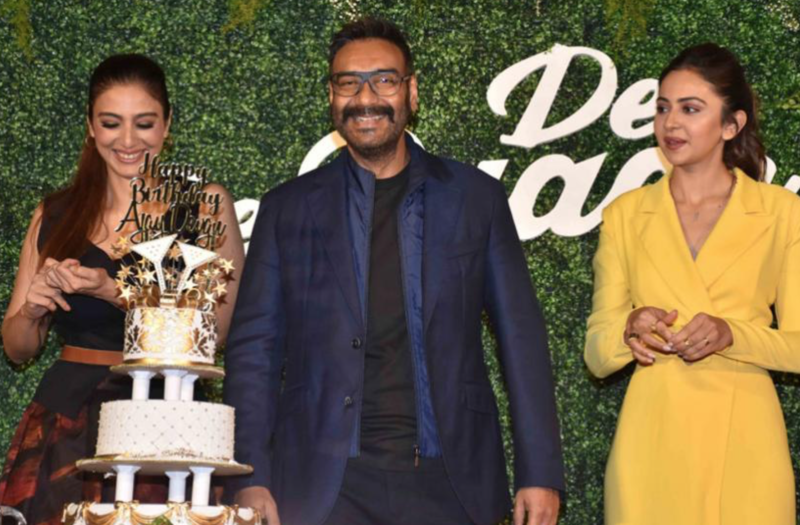 At the trailer launch of his upcoming film De De Pyaar De, actor Ajay Devgn also celebrated his 50th birthday. The makers celebrated Ajay’s birthday by cutting a cake on stage. Ajay said he never cuts his birthday cake and asked Tabu and Rakul to do the honours. Also at the trailer launch were the producers Bhushan Kumar, Luv Ranjan, Ankur Garg, director Akiv Ali, music composer Amaal Mallik along with the media and fans.